Yes, it is that time of year again. 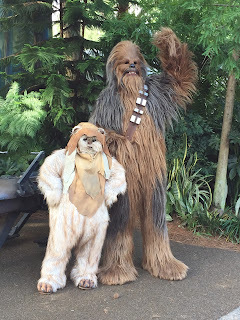 Today was opening day of Star Wars Weekends - 2015, at Hollywood Studios. I had the chance to walk around the park today, and of course I took a few fun shots. Here are Chewbacca and an Ewok. They can be found right across from the exit of Star Tours.